Recently I have been talking to Prentice Hall, the rather spanky-awesome publishers of The Official Ubuntu Book by Mako, Matthew Helmke and Corey Burger, and the brand new Official Ubuntu Server Book by our friend and yours, Kyle Rankin and Mako. These books were commissioned by Debra Williams-Cauley who has been awesome getting them on the shelves, and her sidekick is one Heather Fox who I have been chatting with recently to see if we can score some free copies for our rather fantastic Ubuntu LoCo Teams. Fortunately, Heather has been able to make the magic happen. The deadline for getting your requests in Wed 12th August 2009. For some reason my name as an author did not get put on this book. I wrote and updated the Kubuntu chapter on this version as well. Don’t know what happened about my name being removed. Also Rich Johnson wrote/revised his chapter as well. No idea, Jonathan. I wasn’t really involved in the editing of the book. My name was dropped too, but I assume it is because I haven’t written content other than the 1st edition. You, Rich and Jono are all three listed in the “About the Authors” section of the 4th Edition of “The Official Ubuntu Book” found on page xxxvi just thought you would want to know. I want a book for me, in Sucre-Bolivia!!!!!!! hi……… in Sucre-Bolivia no exists a Group LoCo..??? but we want the book’s ……. please help…….!!!!!!! the group LoCo is in Santa Cruz-Bolivia and is to far away to here……..!!!!! Thanks for the publicity and all your hard work for the community, Jono! I gave a presentation related to this at our LoCo meeting in July… (notes reproduced below). In short, public libraries are sorely lacking a decent collection of Ubuntu books. I recommend focusing our efforts there. It’s good to have a book or two at a LoCo, but it is AMAZING to put that book or two into the hands of hundreds (or more) local residents. Vancouver Public Library (VPL) collection fo Ubuntu books is abysmal (politely). Randall’s VPL research: 18 Ubuntu titles (most of them out of date or unavailable.) >1000 Windows titles >100 Vista titles. Here’s what you can do to fix this (i.e. hack the library): 1) Donate your Ubuntu books 2) Suggest a purchase 3) Order the official Ubuntu CD and donate it. Instructions on how to donate and suggest: http://www.vpl.ca (or your local public library). 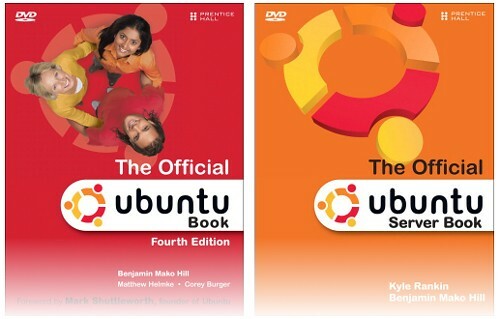 I want a Ubuntu Book.I contributed to the first edition, but that was some time ago.Most excellent! Thanks! Can I get one of these books also?